These non-Original Trilogy Star Wars movies put themselves in a corner: how do you make a story interesting when we already know it? Rogue One had the advantage of largely being a blank slate, working almost entirely from the opening crawl of A New Hope. The prequels, love them or hate them, were constrained even though they also had an unexplored playground: Anakin would go bad, the twins would be born, the Empire would rise. Revenge of the Sith was a lot of things; “surprising” was largely not it. 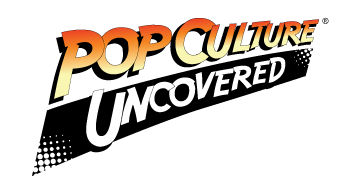 And then there’s Solo, the newest entry in the Disney-helmed Star Wars universe which, like the prequels, has a hard time surprising when we already know the key parts of Han’s story. His most important moments were told in the films, but we’ve gotten enough hints on his backstory in older, non-canon material, and those “Legends” of Han have largely stuck in this movie, even if modified. To that end, Solo: A Star Wars Story doesn’t really offer a lot in the way of meaningful tension. It’s not really a spoiler to say that Han (Alden Ehrenreich) is an ex-Imperial who pairs up with a wookiee he rescues, and goes on to become a smuggler who wins the Millennium Falcon from Lando. We already knew this going into the movie. 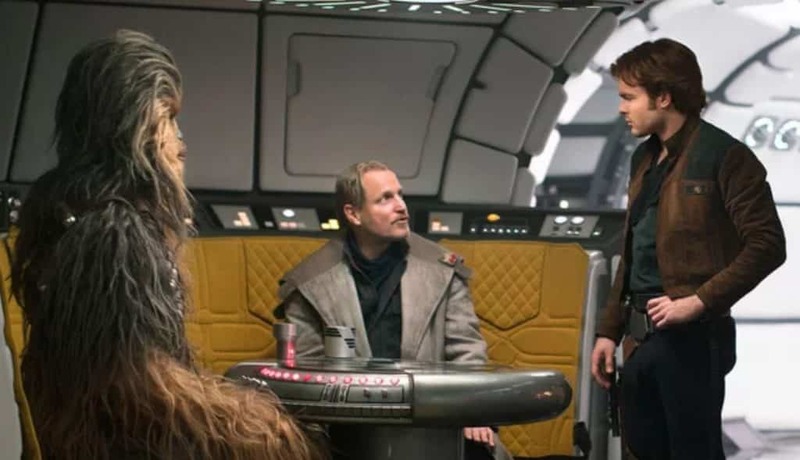 Solo has to pad things by introducing an expanded cast for Han’s backstory, including Q’ira (Emilia Clarke), his pre-Leia love interest; Tobias (Woody Harrelson), his smuggling mentor; and Tobias’ team, Val (Thandie Newton) and Rio (Jon Favreau), who really comes off as a Rocket Raccoon knockoff–adorable, but we’ve already seen this. And then there’s young Lando (Donald Glover); his droid L3-37 (Phoebe-Waller Bridge), possibly the breakout character of the story; and Dryden Vox (Paul Bettany), who just kind of stands around and acts grumpy. I don’t mean to gloss over these characters–they’re all fine. It’s just that, as with the prequels, viewers should be prepared to not get too attached to them. The movie doesn’t allow many of them to stick, making you wonder why it bothers to introduce them in the first place. Death is predictable in a prequel; how and when the movie dispatches them can be problematic, and that’s very true in this movie. And then there’s Han Solo himself, played by Aldren Ehrenreich. Let’s preface: we’re now in this weird era of film where we have movies which require continuity but can’t make an actor younger. Ewan McGregor did a decent job as his own version of Alec Guiness’ Obi-Wan Kenobi, and notably, he was playing an earlier, more optimistic version of the character from before his fall. In contrast, Martin Freeman’s Bilbo Baggins really was a very different version of Ian Holm’s, and it was hard to see how one character grew into the other. Ehrenreich’s Han is fine, but it’s definitely Ehrenreich‘s Han and not a mimic of Harrison Ford. (Donald Glover’s Lando, on the other hand, unmistakeably channels Billy Dee Williams, and he does a remarkable job of it.) Part of what throws the film is that Ehrenreich doesn’t have Ford’s voice or gravitas. The latter’s Han Solo was a grizzled, middle aged man who’d been worn down by the world. Ehrenreich’s Han isn’t there yet. He’s got O.T.-like Han qualities, but is still an optimist who hasn’t been broken by disappointment yet. He’s OK, but not amazing in the way Harrison Ford owned the part. Maybe he’ll reach that point in the sequels; maybe he needs a stronger script with a dramatic moment that shows us why Han is the bitter, untrusting man in A New Hope. 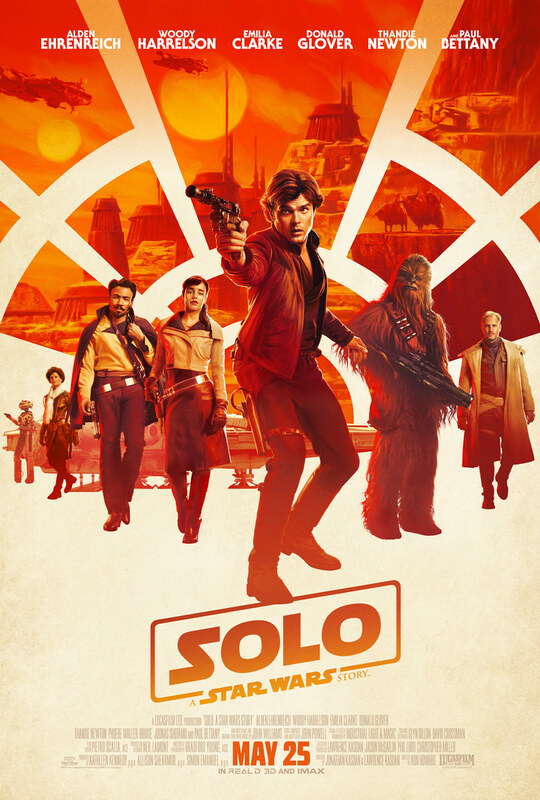 One last note: despite this being a very vanilla film–and let me assure you, it’s not bad, it’s just “there”–Solo does end on one colossal moment which is going to take a colossal risk for the entire franchise. I really can’t spoil it here, and I’ll have to discuss this in a future article, but: Solo features an extradordinarily surprise cameo which will be what the audience talks about when they walk out of the movie. The question is how this move affects the Star Wars franchise as a whole, because the moment does one of two things. If Solo is a standalone movie, then the scene is a nice nod to the larger world of Star Wars novels, comics, and television shows. However, if Solo is going to be a trilogy and this moment carries over, then the films are going to either have to keep this scene consistent with the Expanded Universe, or break from it. In other words: this scene is amazing when you see it on screen, and very problematic when you think through the potential consequences in terms of Star Wars storytelling. Anyway, Solo: A Star Wars Story is otherwise very basic summer cinema: it’s Star Wars, and it’s a popcorn movie, and hey, it’s very watchable. But while it doesn’t disappoint, it doesn’t ramp up the momentum of Star Wars under Disney, either. Rating: Three Falcons out of Five. Thanks to Allied Integrated Marketing for the promotional tickets.